Soo excited to finally show you guys what I've been working on! I've been working on this for a while, and it's finally completed! Along with a much more aesthetically pleasing layout and more professional demeanor, Tarte Vintage, or shoptarte.com, addresses and fixes a lot of the problems and imperfections of my previous shop. (Which was still wildly successful thanks to you!) Only the best of the best and most unique pieces will make it on the store, and our new packaging takes uber cute to the next level. As for "JLove's Closet Shop," it is still there! 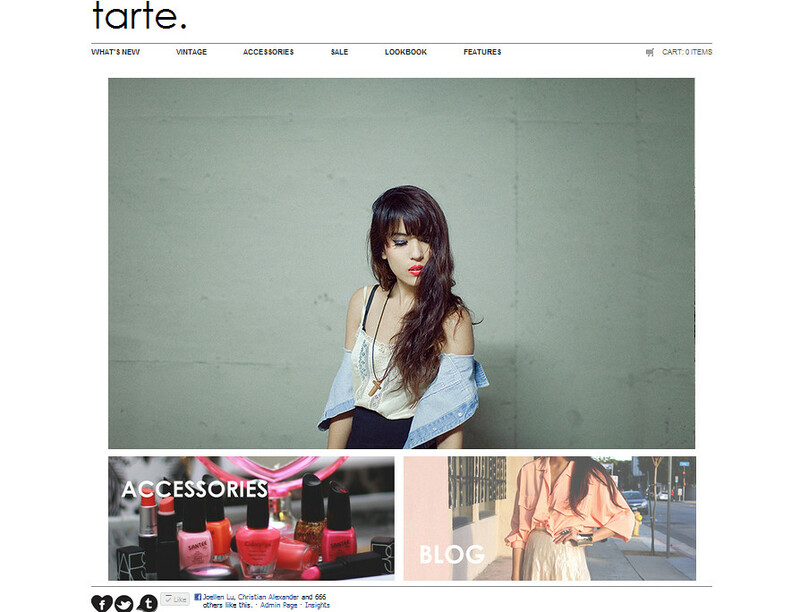 It's now Tarte Vintage's official tumblr. New items will always be posted as before, and you'll also see found/submitted photos of you lovely ladies wearing our stuff, updates, and of course the "spotted on tumblr" section. Oh my goodness! Everything is so beautiful! I'm definitely going to have to take a look. YOU ARE ABSOLUTELY STUNNING SWEETIE! OF COURSE I FOLLOW BACK! Thnx a lot for your comment! You have a really nice blog! Like al the looks above!! Love it! LOVE YOU'RE STYLE. So glamorous. Love the trim of that first shirt! Hi beauty!! Thank you so mucho for commenting on my blog!! If you like finding new blogs, I ´m really pleased to be found!! Thanks to be found I ´ve Known your blog and I love it!! You are so cool! !I ´ll follow you back! !Many Kisses!! Hello dear, I also found your blog and am very interressante following if you have a page of your blog, or profiles on Bloglovin, Fashiolista, Chicisimo,Twitter send me to follow! I love these items you sell! Do you ship to the Netherlands and accept PayPal? And you're gorgeous by the way. Love the peach blazer and black floppy hat! Stop by sometime, I'd love to hear what you think about my Valentine post! wow, great clothing, love everything what you wear! That pale pink cardigan is simply divine! such a great blog. thanks again for your comment. I will definitely follow. hei sweetie thank you so much for your comment and for following..
COULD YOU PLEASE TELL ME WHERE DO I HAVE TO FOLLOW BACK ? IF YOU DON'T CHOOSE BLOGLOVIN COULD YOU PLEASE FOLLOW MINE VIA BLOGLOVIN? I love love love the embellished top. thanks for following me i am now following you back i love the last outfit in this post and like your blog keep up the good work! Love your blog! Thanks for visiting mine, I am a bloglovin´follower now ;). Love the blouse in the first two pictures! oh wow! 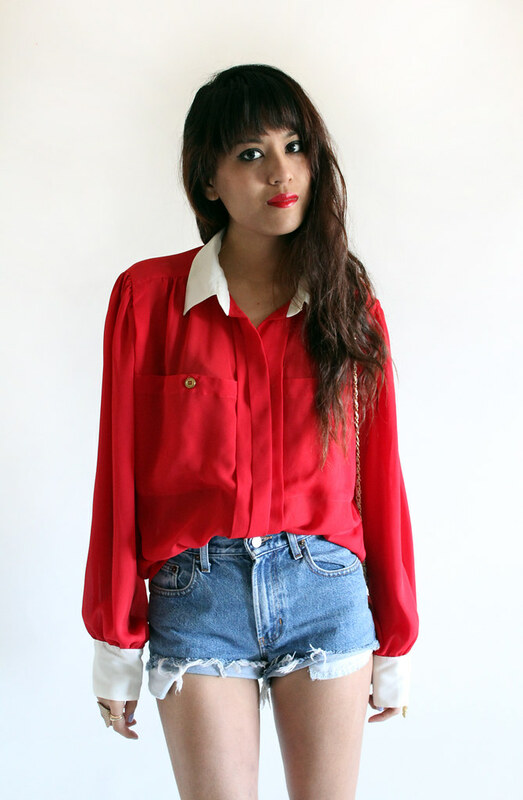 that pearl embellished top is GORGEOUS, as well as that pop of red chiffon shirt! Thank you for your sweet comment - so appreciated! 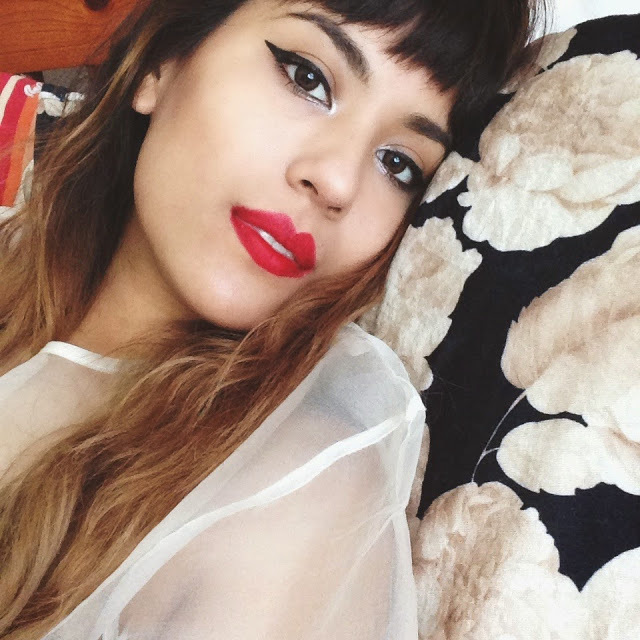 I'm truly glad you popped by so I could stumble upon your lovely blog! Most definitely following you now! Hope you'll come and send some more love soon. Love all the pics! You look great :) thanks for you´re sweet comment in my blog! Love these outfits. The first one is my favorite. I love the grey knee length socks. And hat so in love with it! gorgeous looks for the blazer!!! Congrats on the new website, it looks fantastic!! omg, I love every single outfit!!! amazingly beautiful!!!!!!! The details on the 1st blouse is awesome!!! 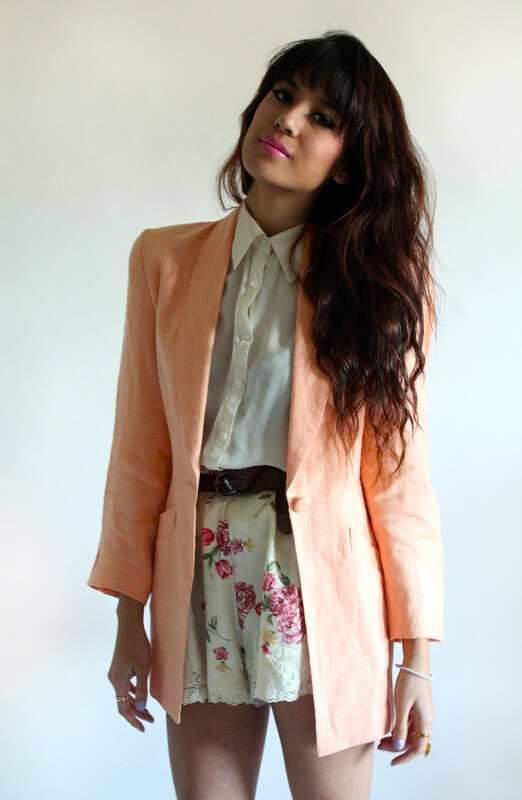 love the peach blazer and the gold nail polish! !